In Part I of this essay, I introduced the early medieval Chinese bibliographers who made catalogues of Buddhist texts that were prescriptive and proscriptive; i.e., they tried to determine what was and was not an authentic text. I also introduced the idea of the digest text (抄經) and pointed out that the Heart Sutra is a prime example of such a digest. I then showed that the bibliographers also thought of the Heart Sutra as a digest rather than as an authentic sutra and that the earliest commentators also seemed to agree. However, I raised a question about identifying the shénzhòu texts as the Heart Sutra. Now, in Part II, I introduce some background on the turbulent politics of the time in which the Heart Sutra emerged. I then look again at Xuanzang and the reliability of texts about him as historical sources. The two early commentaries of the Heart Sutra, by Kuījī and his colleague Woncheuk, both seem to understand that the Heart Sutra is a digest text. Finally, later Tang catalogues add to the myth of the Heart Sutra by supplying a translation date that is widely and uncritically cited by scholars, and other elements of backstory. The Damingzhoujing emerges for the first time. This sets us up for Part III which discusses the evidence presented and various ways of accounting for it. When we read about the history of Xuanzang, we generally read all about him interacting with the second and third Tang Emperors, Taizong (太宗; r. 626–649) and Gaozong (高宗; r. 649–683). Even though she is a key player from about 650 onwards, most accounts tend to leave Wu Zetian (624–705) out of the picture. For example, Kazuaki Tanahashi's "Comprehensive guide" to the Heart Sutra (2014) provides many historical details but doesn't mention Wu Zetian at all. I'm grateful to Jeffrey Kotyk for alerting me to this issue in some emails we've been exchanging on this subject. Wu Zetian is a difficult character to get a fix on because Chinese historians of her own time openly hated her. The men who wrote China's official histories were Confucian scholars who were appalled by the thought of a woman wielding power (over them). Under their pens, she becomes a kind of caricature of evil and her accomplishments are overlooked. And it only gets worse over time. Wu Zetian (武則天) was born in 624 CE. Her mother was from the Yang (楊) clan and was thus related to the Sui Emperors. * This gave her the status to become, aged 14, a mid-ranked concubine of Emperor Taizong. When Taizong died in 650, tradition demanded that childless concubines be sent to a monastery to live out their lives. Aged 26, Wu Zetian was assigned to Ganye Temple (感業寺) in the capital, Changan. However, she appears to have cultivated a relationship with a younger son of Taizong. As fate would have it, this son ended up becoming crown prince and then Emperor Gaozong. Gaozong recalled Wu Zetian from the monastery and made her his concubine at a much higher rank. She reputedly had her rivals disposed of (horribly), but in any case, just a few years later in 655, aged 31, she became wife to Gaozong, and thus Empress Consort. She had two sons with Gaozong: Li Xián and Li Zhe. * It is probably a coincidence that the man named in the colophon of the Fangshan stele is also a Yang. Andrew Eisenberg (amongst others) has argued that standard accounts of Wu Zetian's rise to Empress leave out a great deal. The early Tang court was riven by factionalism that began in the latter part of Taizong's reign and was inherited by his son, Gaozong. Out of the various factions, one emerged that was led by Zhangsun Wuji (長孫無忌), a kingmaker who had been instrumental in helping to put the Li family on the throne, thus founding the Tang Dynasty, in the first place. The Zhangsun faction seriously threatened the power of Gaozong, not by undermining his position as Emperor per se, but by taking control of the executive branches of government. Leveraging the Fang Yi'ai (房遺愛) affair, Zhangsun Wuji was able to instigate a major (violent) purge of Gaozong's supporters in 653 leaving him isolated. In this revision of history, the ascension of Wu Zetian to the throne is part of a move by Gaozong and his ally, General Li Ji, to counter the growing power of the Zhangsun faction. Indeed, Eisenberg argues that Wu Zetian's accession was the culminating manoeuvre of a bloody retaliatory purge of their leaders. Zhangsun Wuji, himself, survived until Gaozong had him executed along with his family in 659. Wu Zetian may have taken part in the violent factionalism on the side of Gaozong, but manipulation, manoeuvring and murdering were the norm at the time. Gaozong and his palace allies, particularly Li Ji, were far from passive in these matters. Buddhist histories tend to portray China as a rather pacific state at this time. They may recall the chaos that brought down the Sui (581–618), but they tend to buy into the myth of Tang as a golden age. In fact, the early Tang may have been glorious in its own way, but it began in rebellion and was marked by rebellions (Wu Zetian and Ang Lushan), and was effectively ended by the Huang Chao Rebellion (even if it took a while to die). The battle for control of the world's largest and richest Empire has slow periods but has been more or less constant for 3000 years. However she got there, Wu Zetian seems to have been ready to take advantage of her position. She became the de facto ruler of China from 660 onwards due to Gaozong's incapacitation by a series of strokes. Typically, some historians believe that he was poisoned by Wu Zetian. Gaozong recovered for a time, during which they shared power, but he suffered repeated bouts of illness, leaving Wu Zetian in effective control of the Empire. After Gaozong died in 683, Li Xián was proclaimed Emperor Zhōngzōng (中宗). However, Wu Zetian deposed him after just six weeks and installed his younger brother, Li Zhe, as Emperor Ruizong (睿宗 r. 684–689), though Wu Zetian continued to rule as Empress Dowager and Regent. This resulted in a major rebellion that was put down at great cost. Then, in 690, Wu Zetian declared herself Emperor de jure. Since she was not of the Li family, she could not technically carry on their Dynasty; she called her new dynasty Zhou, after the historic Zhou Dynasty (c. 1046–249 BC), in the time of Confucius and Laozi. She was eventually forced to yield the throne back to Li Xián in 705 and died shortly afterwards. A generous view of her might be that, although her rise to power was manipulative and violent, Wu Zetian was a good ruler. She ran the palace as a meritocracy and made reforms that benefited peasants and women. Printing was discovered and developed during her rule (a development that had a profound effect on Buddhism in China as texts became standardised, much cheaper, and widely distributed). It is significant that, unlike Gaozong or Taizong, Wu Zetian was a Buddhist. She promoted Buddhism as the state religion ahead of Confucianism or Daoism. When she did take the throne, Buddhism provided the rationale for her mandate for being the first (and only) female Emperor. As Tansen Sen (2003) notes, Wu Zetian secured crucial support from Buddhist Clergy from 685–695. In 689, a leading Buddhist monk, Xue Huaiyi (said by her enemies to be her lover) organised the production of a commentary on a Buddhist text (T2879) to link Wu Zetian with prophecies about the return of Maitreya. Later, in 693, the translator Bodhiruci produced a version of the Ratnamegha Sūtra (T660) into which were interpolated passages prophesying a female Emperor in China. This is the political background against which the Heart Sutra emerged and Wu Zetian may well have been the most important political figure of the time. Buddhist histories tend to portray Taizong and Gaozong as having an interest in Buddhism, but really they were not interested. At this stage, Buddhism was still seen as a foreign religion. It was Wu Zetian who changed that. Which makes her one of the most significant women in the history of Buddhism. But the Buddhists establishment, from apparent self-interest, also got behind her, to the point of forging prophecies of her ascension. Xuanzang (600?–664), the famous monk, pilgrim, and translator, is entangled in any discussion of the history of the Heart Sutra. Apart from his birth, the dates of Xuanzang are a matter of long-settled opinion. He must have been born at or around the turn of the 7th Century. He became a Buddhist monk and, following the collapse of the Sui Dynasty in 618, he and his brother spent time in Sichuan (四川) Province. He then left China to visit India in 629 and returned in 645 (16 years). Shortly after his return, Taizong died and Gaozong took the imperial throne, though, as we have seen, his rule was soon dominated by Wu Zetian. As with the references to the catalogues, we need to look again at what we think we know about Xuanzang and the Heart Sutra. A key source is his travelogue, 《大唐西域記》 Great Tang Records on the Western Region (T2087), composed in 646, supposedly at the request of the Emperor Taizong. In this memoir of his travels, Xuanzang does not mention the Heart Sutra, though this is not surprising. Taizong was a rationalist emperor who wanted intelligence on his neighbours and their neighbours to help him understand his strategic position in the world. In the Records, Xuanzang does use the words 神呪 and 呪, a number of times. Both meaning "a chant or incantation" in a general way. They are not used with respect to a specific text. Chanting incantations was simply something Buddhists and Hindus did and they had this in common with Daoists. The most important source of information about Xuanzang is a hagiography by Huìlì (慧立 ) and Yàncóng (彥悰) known as 《大唐大慈恩寺三藏法師傳》 Biography of the Dharma Master of the Great Ci'en Temple in the Tang Dynasty (hereafter "the Biography") which dates from about 688 CE. The preface of the text, composed by Yàncóng, suggests that Huìlì produced a text of about 5 fascicles but lost confidence and hid it. After Huìlì's death, Yàncóng reworked the text, producing a final work of 10 fascicles. They can properly be said to be co-authors, though they seem to have worked on it the Biography different times. The first literary link between Xuanzang and the Xīnjīng occurs in the Biography. Chapter One briefly tells the story of Xuanzang receiving the Xīnjīng from a grateful man he had helped. The story is not told in context, i.e., not as part of the story about his move to Sichuan (or 蜀 Shǔ as it was then called), but comes as an aside when Xuanzang gets lost in the desert and is assailed by demons. He supposedly recited the Heart Sutra to stay safe. The main part of the story goes like this. Once when the master in Sichuan saw a sick man, with foul-smelling body sores, dressed in dirty rags. Feeling benevolent he took that man directly to the temple and give him clothing, food, and drink. The sick man, being ashamed, taught the Master this sutra [i.e., the Wisdom-Heart-Sutra] and for this reason, he often recited and practised it. (T 50.224b.9-10). Note that the sick man (病人) is described as 身瘡臭穢 literally "body sores stinking foul". This could well be a layperson's description of final-stage leprosy. The disease was well known and described in China at this time, though social attitudes to leprosy were ambivalent (Skinsnes & Chang 1985). In the preceding paragraph of the Biography, "the text" 《經》 is called 《般若心經》 or Wisdom-Heart-Sutra which, as we have seen, does not come into use in Buddhist catalogues until 664, the year of Xuanzang's death, though his early life and travels occur in the pause between catalogues. In a later chapter, the biography purports to preserve letters sent by Xuanzang to Emperor Gaozong, in one of which (dated 656) he offers the emperor a gold-lettered Prajñāpāramitā text in one fascicle (which seems to be the Xīnjīng) to congratulate him and the Empress on the birth of a son (Li Xián). Many scholars uncritically take these references to be solid historical facts, though the biography seems to be unreliable as a historical document. For example, the biography describes Xuanzang crossing vast trackless deserts on his own with just a horse. Horses are not adapted to desert life the way camels are. Between them, a man and a horse travelling in the heat would require well in excess of 100 litres ( = 100 kg) of water per day. It is overwhelmingly likely that both would have died within a day or two of venturing unguided into the Gobi or Taklamakan deserts. The name of the Taklamakan is said to mean "place of no return" or "place of ruin". Stories about divine interventions don't hold water. Neither Xuanzang himself nor the Biography mentions Xuanzang as the translator of a Sanskrit text of the Heart Sutra. It is true that texts, especially the Heart Sutra, were occasionally engraved in Sanskrit, but only a handful of people in China could read Sanskrit at any given time. As far as popular Buddhism in China goes, it was all in Chinese translation. If we think critically about the text we might ask, if the Heart Sutra is magic and can save Xuanzang from certain death, why was the leper not cured by magic as well? One answer is that helping a sick man is "virtue signalling"; i.e., a pious, but personally costly, display of virtue to help other Buddhists recognise Xuanzang as one of them (Bulbulia & Schjoedt 2010: 35-6). And by "costly" here we mean not just the financial cost of the clothing and food, but the discomfort of spending time with someone who has stinking, suppurating, sores and the risk of being infected. Xuanzang needs to establish his saintly credentials, not in the relative safety of Sichuan, but now, in the desert where his life is in danger, where he could only have succeeded by a miracle. The broadly uncritical approach taken by readers of Xuanzang's biography suggests that this may also involve what Bulbulia & Schjoedt call "charismatic signalling". In effect, it is our shared awe of Xuanzang that brings Buddhists together on a large scale. Displays of costly virtue (such as being a celibate monk) may not be enough when large-scale anonymous cooperation is required; therefore, religious groups direct attention to charismatic (i.e., highly persuasive) individuals, the purpose of historical saints to create a sense of continuity with the present charismatic individuals, often with saints being seen as conduits of the divine. Tang Dynasty Buddhists could not know, when they promoted him as a saint, that Xuanzang would chiefly be remembered as a caricature in a tawdry Ming Dynasty fantasy novel. A hagiography may well contain stories that are valued by religieux for their inspirational qualities. But when we are looking at them as historians, we have to be a lot more sceptical. Taking a hagiography on its own terms is very poor method. And yet many historians do take this information as historically accurate. Two other men important in Xuanzang's story have already been mentioned; i.e., Kuījī 窺基 (632–682), his Chinese student and his successor in the 唯識宗 or Mind-Only [Idealist] School of Yogācāra; and Woncheuk 圓測 (613-696) a Korean editor and translator who was assigned by Gaozong to assist Xuanzang. Both men could read Sanskrit, at least to some degree (there are debates on who knew how much, but this is another topic). Woncheuk is very important to this story because, as Dan Lusthaus (2003) points out, Woncheuk seems to refer to "a Sanskrit text" when composing his commentary on the Xīnjīng (T1711). Lusthaus takes this putative Sanskrit text or Sanskrit version (梵本) to be the “original” but this assumes facts not-in-evidence and is contradicted by evidence from the catalogues. The trouble is that we know that the Sanskrit is a translation and source was Chinese. So even if Woncheuk had a Sanskrit text, we know it to be a translation from the Chinese. That Woncheuk appears not to know this is significant because it means he almost certainly wasn't the translator. A problem that Lusthaus does not discuss is that we know that there a number of divergences between extant Sanskrit and Chinese texts, and yet Woncheuk’s commentary only references this one minor difference (等, presumably Skt. ādi) and none of the major differences, such as the different number of verbs in the first sentence (see Attwood 2015). Furthermore, this minor difference is not found in any extant Heart Sutra text, but the line with 等 is found in both commentaries by Kuījī and Woncheuk; it is cited by another Tang Dynasty monk, Zhìzhōu 智周 (668-723) in his 《大乘入道次第》 Introduction to the Mahāyāna Path (T 45.459b.4); and it occurs in an otherwise unknown text found at Dunhuang (T2746). All we know from Woncheuk's commentary is that the Sanskrit text had some equivalent of the Chinese character 等 "etc" and that was the only difference Woncheuk deemed worthy of comment. This would be counted very peculiar, indeed, were the text really a Sanskrit "original". On the other hand, we have already noted in Part I that Woncheuk saw the text as 簡 "selected, gleaned" from 諸般若 "various Prajñā(pāramitā sūtras)" (T 33.543.b.18). However, even this is less straightforward than it seems because Woncheuk gives the initial title of the sutra as 《佛說般若波羅蜜多心經》, with two additional characters—佛說—that mean "The Buddha Expounded". This title is not found elsewhere and on its own we would take to suggest that Woncheuk understands the text to be an authentic sutra. Since he appears to know that the text is a digest, we would seem to have to take this to mean that he understood the text to be quoting ideas expounded by the Buddha. In other words, that he saw Mahāyāna texts as Buddhavācana, which is not problematic, in the sense that it was a common view amongst Mahāyāna Buddhists. It's possible that by Sanskrit version (梵本) Woncheuk was not referring to a Heart Sutra, but to the Dajing from which it quotes. There is nothing in the commentary that excludes this possibility and it fits with the knowledge that he is commenting on a digest text. Woncheuk would probably not have had access to the manuscript used by Kumārajīva, but he certainly would have had access to the manuscripts used by Xuanzang. Woncheuk uses the phrase "Sanskrit word" (梵音) 8 times, explaining the meaning of 佛 (buddha), 般若 (prajñā), 奢利富 (Śāriputra), 涅槃 (nirvāṇa), 佛 again, in reference to transliterated anuttarā-samyak-sambodhi, 菩提 (bodhi), and with reference to the dhāraṇī being in Sanskrit. Woncheuk refers to Xuanzang as 大唐三藏 Great Tang Traipiṭaka or simply 三藏 Traipiṭaka. On four occasions he refers to Xuanzang's understanding of technical terms, but not in ways that suggest that Xuanzang was commenting on the Heart Sutra, per se. Note that Woncheuk's commentary has since been independently translated into English (Hyun Choo 2006). It is not that Woncheuk was afraid to disagree with Xuánzàng. As John Jorgensen (2002: 74-5) has shown, the two fell out over the interpretation of Dharmapāla’s interpretation of Yogācāra. Xuánzàng endorsed Dharmapāla but Woncheuk, with his greater knowledge of the history of Yogācāra, argued that Dharmapāla was in error. Later Chinese biographies looked down on Woncheuk as a result (and because he was foreign). Kuījī's commentary (T1710) must have been composed after late 663. This is because when it refers to the Dàjīng (大經) it uses a phrase "菩薩摩訶薩行般若波羅蜜多時" that can only have come from the compendium of Prajñāpāramitā translations by Xuanzang (T220), completed toward the end of 663. He makes a number of references to the Dàjīng. However, he does not mention the character 譯 "translated", or the name 玄奘 Xuanzang, or the title 三藏法師. Kuījī does not mention a Sanskrit text. Keeping in mind that Kuījī and Woncheuk lived in the same milieu, it seems very unlikely that if a Sanskrit Heart Sutra existed when he was writing, Kuījī would not have known about it and had access to it. As Xuanzang's most talented and student, he was in the limelight, especially after Xuanzang died in early 664. The absence of evidence is not usually evidence of absence, but Kuījī's not mentioning a Sanskrit text suggests that it did not exist at that point. We can provisionally conclude that when Kuījī composed his commentary, between 664 and 683, no Sanskrit text was available to him. However, the text was already attributed to Xuanzang in 661 on the Fangshan stele, which is difficult to reconcile with the other facts. Then, when Woncheuk composed his commentary before 696, there was a Sanskrit text, but he seems to have been ambivalent about it. His commentary is very much on the Chinese text. The myth-making surrounding the Heart Sutra did not end with the Nèidiǎn Catalogue or the Biography. Many sources uncritically cite the year 649 CE as the date that Xuanzang translated the Xīnjīng, even though we know that it was a digest text and even though we know that the Sanskrit text is actually a translation from Chinese. The first mention of the 649 Date is in the 《大唐開元釋教錄》 (T2154) Catalogue of Śākyamuṇi’s Teachings of the Kaiyuan Era of the Great Tang Era or simply the Kāiyuán Catalogue; compiled Zhìshēng in the year 730 (Nattier 1992: 174). The Prajñāpāramitā-hṛdaya-sūtra in one fascicle (See: the Nèidiǎn Catalogue, scroll 2 and the Mahāprajñā(pāramitā)-mahāvidyā-sūtra, etc. from the same source; Zhēnguàn Era 23, 5th Month, 24th Day [8 July 649]; translated at Cuìwēi Gōng, on Mount Zhōngnán, with monk Zhīrén as scribe). (Thanks to Jeffrey Kotyk for help with elements of this translation). Note that Taizong was gravely ill in 649 and his deathbed was at his summer residence, Cuìwēi Palace (翠微宮). He died on 10 July 649; the news was delayed by a few days and Gaozong took the throne on 15 Jul 649. Taizong was notoriously rational and contemptuous of superstition and unlikely to have been interested in the Heart Sutra. The Biography portrays him as undergoing a deathbed conversion to Buddhism, but this seems highly unlikely. The Biography makes no mention of the "translation" of the Heart Sutra. It does, however, suggest that the Beilin Stele (erected 672 CE) was made around this time, so it is clearly mixing up the dates. Even though the Kāiyuán Catalogue refers to the Damingzhoujing as being in the Nèidiǎn Catalogue we don't find it there. This is the first mention of the title, in full, the 《摩訶般若波羅蜜大明呪經》 or the Mahāprajñāpāramitā-mahāvidyā-sūtra (T250). In the Damingzhoujing there are no Xuanzang-isms; the main excerpt has some missing lines restored, and it is attributed to Kumārajīva. This has been taken by many (including me) to mean that the Damingzhoujung predates the Xīnjing. It is certainly closer to the Dajing in some respects. However, in the light of previous catalogues, we have to wonder whether the Damingzhoujing was deliberately created after the fact in order to fill out the backstory of the Xīnjīng. It is extremely unlikely that such a text would exist but evade every single bibliographer over two centuries. Of course, 神呪 shénzhòu and 明呪 míngzhòu can both represent Sanskrit vidyā, so it is possible that the Damingzhoujing has some relation with the 《摩訶般若波羅蜜神呪》 Móhēbōrěbōluómì shénzhòu of Sēngyòu's catalogue in 515. But without knowing the content of the texts we can only speculate. We must also note that Zhìshēng is generally quite dismissive of digest sutras (抄經). Of the hundreds that were noted in previous catalogues, he only lists 54. And they are lumped together with the fake sutras (偽經) (Tokuno 1990: 58). He is also critical of texts falsely attributed to famous translators, and Kyoko Tokuno particularly draws attention to his criticism of the 《要行捨身經》 "Book of the Essential Practice of Self-Mortification", which he thinks is wrongly attributed to Xuanzang (1990: 56). This text is listed in the Taishō Canon as No. 2895, under the heading Apocrypha found at Dunhuang. In Parts I & II of this essay I have laid out an array of information, much of which, at more than a millennium removed, must be treated with some caution. We have seen that the Chinese bibliographers and their catalogues of Buddhist texts are pivotal in the construction of the history of the Heart Sutra. In particular, I have, for the first time, noted the prescriptive and proscriptive nature of the catalogues and tried to determine how the Heart Sutra fit into the schemes that the bibliographers worked out. The Heart Sutra turns out to be one of hundreds of digest texts (抄經 Chāojīng). We've seen that the politics of the day was far more complex than is typically represented in Buddhist texts. Xuanzang's close relationships with male emperors is exaggerated and his relationship with Wu Zetian is effaced. The Biography is an unreliable source that is all too often treated as reliable. A great deal rests on the identification of the Heart Sutra with the shénzhòu (神呪) texts found in the pre-Tang catalogues. Having looked at this issue I find the identification doubtful at best, precisely because the shénzhòu texts predate the Dàjīng text that the Xīnjīng quotes. As far as I can tell we have no information about the content of the shénzhòu texts other than their title and classification in a number of catalogues as being digests without a translator. We've also seen that the commentaries by Kuījī and Woncheuk add a whole layer of complexity to the story. The [Truth Act] saccakiriyā allows one individual who is samyañc (in tune) with respect to the nature of experience, to restore samyañc for another who is mithyā (at odds) with respect to the nature of experience. The Xīnjīng is understandable in Buddhist terms but the Sanskrit text is something else. In the context of early medieval China, it had to have been created to deceive people about the true history of the Heart Sutra; i.e., to hide when and where it was produced, as well as by whom, and for what reason it was produced. So part of the task in Part III is to see how much of the true history can be recovered. Part I (03 August 2018). Bibliographies up to the Tang and early commentaries. Attwood, Jayarava. (2015). Heart Murmurs: Some Problems with Conze’s Prajñāpāramitāhṛdaya. Journal of the Oxford Centre for Buddhist Studies, 8, 28-48. Attwood, Jayarava. (2017a). ‘Epithets of the Mantra’ in the Heart Sutra. Journal of the Oxford Centre for Buddhist Studies, 12, 26–57. Attwood, Jayarava. (2017b). ‘Form is (Not) Emptiness: The Enigma at the Heart of the Heart Sutra.’ Journal of the Oxford Centre for Buddhist Studies, 13, 52–80. Bulbulia, Joseph and Schjoedt, Uffe. (2010). 'Religious Culture and Cooperative Prediction under Risk: Perspectives from Social Neuroscience' in Religion, Economy, and Cooperation, edited by I. Pyysiäinen. (Religion and Reason. 49). De Gruyter. Eisenberg, Andrew. (2012) Emperor Gaozong, the Rise of Wu Zetian, and factional politics in the Early Tang. Tang Studies 30, 45-69. Hyun Choo, B. (2006) An English Translation of the Banya paramilda simgyeong chan: Wonch’uk’s Commentary on the Heart Sūtra (Prajñāpāramitā-hṛdaya-sūtra). International Journal of Buddhist Thought & Culture. 6: 121-205. Jorgensen, John. (2002). 'Representing Wŏnch'ŭk: Meditations on Medieval East Asian Biographies' in Religion and Biography in China and Tibet, edited by Benjamin Penny. Routledge. Tokuno, Kyoko. 1990. 'The Evaluation of Indigenous Scriptures in Chinese Buddhist Bibliographical Catalogues' in Chinese Buddhist Apocrypha, edited by Robert E Buswell. University of Hawaii Press, 31-74. Nattier, Jan (1992). 'The Heart Sūtra: a Chinese apocryphal text?' Journal of the International Association of Buddhist Studies. 15 (2) 153-223. Sen, Tansen. (2003) Buddhism, Diplomacy, and Trade. The Realignment of Sino-Indian Relations 600-1400. Association for Asian Studies; University of Hawai'i Press. Skinsnes, O.K. and Chang, P.H. (1985) Understanding of leprosy in ancient China. International journal of leprosy and other mycobacterial diseases. 53(2), 289-307. Storch, T. (2014). The History of Chinese Buddhist Bibliography. Amherst, NY: Cambria Press. In this essay I'm going to try to show some of how I evaluate sources of information using a case study of the two mentions of the Heart Sutra in the standard biography of Xuánzàng written by Huìlì and Yàncóng. This involves a detailed assessment of such qualities as authenticity, veracity, accuracy, precision, and reliability. What knowledge can we obtain from a text, using which kinds of methods? What kinds of caveats apply to this process? On the 5th day, 12th Month of Yǒnghuī 6 (永徽六年十二月五日) i.e., 6 January, 656, Xuánzàng sent a letter to the emperor celebrating the birth of a new prince the month before. He wrote in a letter: "I dare to offer a copy of the Prajñā Heart Sutra in gold letters, one scroll and a case." (輒敢進金字《般若心經》一卷并函 T 50.272b.12). This piece of information is quite a big deal because this is the earliest literary reference to the Heart Sutra with a precise date that I know of. It is five years before the earliest physical evidence (661 CE) and definitely before Xuánzàng began translating Prajñāpāramitā texts in ernest (660 CE). But this important date is seldom, if ever, discussed in the literature on the Heart Sutra. The information comes from the 《大唐大慈恩寺三藏法師傳》, a Tang Dynasty (唐) biography (傳) of Xuánzàng (aka "the Dharma Master 三藏法師傳 of the great Ci'en Temple 大慈恩寺") by 慧立 Huìlì and 彥悰Yàncóng from about 688 CE (henceforth, Biography). I say "biography", but as Xuánzàng never puts a foot wrong and is portrayed as conforming to an ideal, the text is clearly part of a trend to elevate him to the status of Buddhist saint. As such, we might better refer to it as a hagiography. Chinese Buddhist saints are quite different in character from Indian Buddhist saints, which is something that requires its own study (and I don't propose to get into it here). Unlike some hagiographies, the Biography was composed quite close to the subject's lifetime, in a literate society that kept good records in both the religious and imperial spheres, and partly by someone who knew the subject personally. So Xuánzàng is not presented as doing many miracles, but more as behaving in an exemplary manner in social, political, and religious spheres. He is, in short, the archetype of a good Buddhist living in a fundamentally Confucian society. The Biography is included in the Taishō Edition of the Tripiṭaka as text no. 2053. T2053 was translated by Samuel Beal in 1911 (I use a 1914 reprint), and more recently by Li Rongxi for the BDK English Tripiṭaka (1995). Huìlì was a younger contemporary of Xuánzàng, who knew and worked with him. Yàncóng recounts the story of how the Biography came about in a preface. Having written down the the Biography, Huìlì lost confidence and buried them "fearing that the contents of his writing might be incomplete and inadequate for the public" (Li 1995: 3). However, on his death bed he asked his students to dig up the manuscript. Within a few years it had become divided and scattered. Some parts were lost. Around 688 CE, the students managed to collect up the remaining works and commissioned 彥悰 Yàncóng to edit it into a book. What remained of Huìlì's work amounted to five scrolls, and Yàncóng added five more. The result is the now famous biography. As far as I can tell, there is no basis for this "probably". Beal is guessing. What Yàncóng says in Beal's own translation is that he was engaged to "to re-arrange and correct the leaves which their master had written and hidden in a cave." (xix). But compare Li "Then I mixed the original text with supplementary annotations, extending it into a work of ten fascicles" (1995: 9). What this suggests to me is that Huìlì provided the framework for the whole text and Yàncóng expanded on it in general. Li: "With a feeling of pity, he took the man to his monastery and gave him money to purchase clothes and food." (26). There is no mention of "money" or "purchasing" in the text. And, given that we generally understand monks as not handling money, this added feature is incongruous, although, of course, some monks did handle money (and I haven't checked which kind Xuánzàng was). So the translation here is more precise than the source text (it supplies extra details), but it appears to be inaccurate (because the details don't arise from the source text). I started out assuming that Li must be fairly reliable to be employed as a translator by the prestigious BDK organisation. Based on assessing these two details, I conclude Li is less reliable than my initial assessment of him. Samuel Beal's translation is, "Pitying the man he took him to his convent, and gave him clothing and food" (1914: 21). Beal, writing in a different era, uses language with an archaic feel to it. We might also wonder why he chose "convent" (usually associated with nuns in English) for 寺. On the whole, however, his translations seems more more accurate, and thus more reliable than Li at this point. How does anyone assess when a translator is more or less reliable without reference to the source text in the source language? Very often my friends and colleagues make a kind of aesthetic judgement on the grounds of which one reads better. Often the more "poetic" a translation is the more folk like it. Which seems like nonsense to me. Is it fair to judge a translation on a handful of sentences? When we are only interested in a handful of sentences, the importance of them with respect to the text as a whole is magnified. In this case Li's small amendment to include a reference to giving money has a major impact on my study. Had I taken Li seriously, I might have decided that I needed to spend time looking into the issue of use of money by monks in medieval China. This is a potentially fruitful avenue to go down if it relates to my task at hand, but the fact is that it doesn't. It's just a lapse on the part of a translator. Fortunately, I like to try to see how source texts look before taking translations seriously. Any reader who does not check the source text (for whatever reason) is always at risk of being misled. "Originally composed by Monk Huìlì, edited by Yàncóng, with annotations." Here 沙門* means that Huìlì (慧立) was a Buddhist monk. The character 本 means "origin, root" and tells us that the text originates with Huìlì. Next, 箋 means "annotation" or "commentary". We know from Yàncóng’s (彥悰) preface that his role was that of editor of Huìlì’s manuscript and notes, 譯 here must mean “editor/edited”, rather than “translator/translated”. However, this work was composed in Chinese, so 譯 cannot mean "translator" as nothing was translated. This is an important detail because it contributes to another aspect of my work on the Heart Sutra: the relationship between Xuanzang and the Heart Sutra. When I checked I found that Xuánzàng is credited with being the 譯 of his own travelogue, also composed in Chinese. * 沙門 is pronounced like 'shaman', deriving from Prakrit ṣāmana (Sanskrit śrāmaṇa). There is a possible link with English shaman: Sanskrit śrāmaṇa → Prakrit ṣāmane → Middle Chinese 沙門 ʃamuən → Siberian/Tungus šamān → Russian shamán → German schamane → English shaman (attested 1698). It might be fair to assume that if many texts that are translations refer to a person as the 譯 in relation to it, then that person is the "translator" and that 譯 must mean "translated [by]". But we have two examples of the character being used in contexts where it cannot mean "translate". The dictionary definition seems to be incomplete. There is another sense which is something like "worked on", which is distinguished from "authored". Keeping track of such small details is integral to this kind of work, because the accumulation of details is what adds up to a case. The only problem is that some intellectuals tell us that no accumulation of details adds up to a case. Until one discovers that Bruce is Australian and he is actually a black swan and the deduction is false. The problem here, and with all deductive reasoning, is that it all revolves around axioms, i.e., propositions that one accepts as truth before proceeding to infer some new fact by deduction. If the axiom is false, then all inferences from it are also false. The argument proceeds to say that it doesn't matter how many white swans you meet, you can never be certain that all swans are white. It only takes one black swan to disprove the axiom that all swans are white and all inferences from the axiom fall apart. 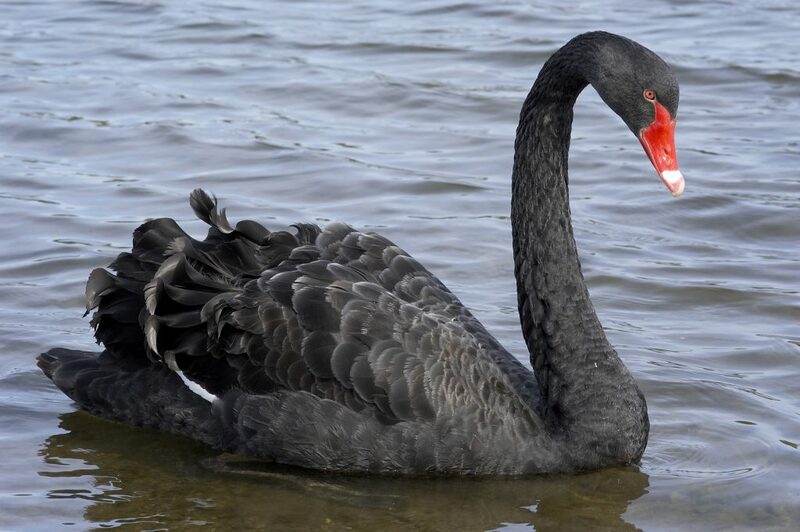 The "black swan" argument is that you can never arrive at the truth through seeking confirmation of an axiom. Indeed, proving that any axiom is true is a very difficult thing to do. It is possible in mathematics. However, in any system of mathematics it is also possible for something to be true or false, but for this to be impossible to prove. So the search for truth quickly gets bogged down. And this is why scientists tend to avoid the idea of truth, and instead seek accurate and precise descriptions of reality (i.e., the day to day focus is on the epistemic aspects of their work). The attitude is "let the philosophers argue over the nature of that reality, as long as we can predict how it's going to behave". Scientists and philosophers are often dismissive of each other, largely because scientists stray into the area of speculating about the (ultimate) nature of reality (metaphysics) and because philosophers often speculate without reference to empirical knowledge - which is far and away the most reliable form of knowledge. This critical thinking approach, call it hyper-critical thinking, leads to an impasse. It seems as if all claims to truth are either false now or soon will be. And thus it may seem that there is no point in even seeking knowledge, because in common sense and classical philosophy we equate knowledge and truth. Meanwhile, in the real world, very general rules of thumb turn out to be surprisingly useful in day to day life. We mainly get by on heuristics, or generalised approaches to solving problems that are good enough. Truth, as an abstract or an ideal, turns out to have surprisingly little practical value. Law courts, for example, use the heuristic of establishing something beyond reasonable doubt, which may be very far from the ideal of truth. The hyper-critical approach to knowledge is a more or less useless strategy for studying history. History is always written from a point of view. That point of view includes the axioms that the historian explicitly accepts about history and historiography (the writing of history) as well as the implicit axioms they accept uncritically (bias, prejudice, cultural conditioning, etc.). In Justin L. Barrett's terms, historians, like everyone, have reflective and non-reflective beliefs. And by now historians all know this. Very few historians, especially trained historians, ignore these problems. But just in case they do, few serious readers of history ignore these problems. We know that history is not "truth", but that doesn't matter. No one is much interested in truth in the absolute sense. History provides us with an understanding of events, from a point of view. Historians and readers alike know that multiple points of view are available. History is not science, much less abstract philosophy. Equally, historians are aware that new information surfaces all the time. A history written in 1900 or 1950 is likely to be out of date for this reason. We would usually like our records to have been recorded as close to the events as possible, and our histories written as close to the present as possible. But the fact that there are always going to be new takes on history should not, and does not, paralyse historians, or prevent them from publishing. The black swan effect is a given. Two years ago I blogged an essay about "the oldest dated Heart Sutra" unaware that in Chinese academic circles an older version had been common knowledge for almost sixty years. Unaware of the fact, I continued to suggest that the oldest Heart Sutra was dated 672 CE right up until the last couple of weeks. History is not only written by the winners, but it is rewritten by the better informed amongst the winners' descendents. Coming back to the to passage from the Biography that I started our with: "Xuánzàng presented the Emperor Gāozōng with a copy of the Xīnjīn on 6 Dec 656." There are two ways to approach a statement like this. On one hand, we may doubt the authenticity and veracity of the statement and look for ways to refute it. We may, for example, check that the dates coincide with other records of the reign of Gāozōng and the birth of the prince. We could check if there is any record of the Emperor receiving such a gift in the imperial records. Some documents from that time still exist in some form. We might query whether the conversion to the Gregorian calendar is accurate (since I used an online black-box converter this would be a good question). In this approach we think of Huìlì and Yàncóng as unreliable, motivated witnesses and we interrogate them like prosecuting attorneys. We try to pick apart their story. Some might argue that such a procedure is the only way to deal with historical sources. The Greek historian is known both as The Father of History and The Father of Lies. Pre-modern historians were not always critical when it came to their sources. The other approach is to assume, in the absence of evidence to the contrary, that Huìlì and Yàncóng are at least sincere in their statements, that they have not set out to deceive us. They may themselves have been deceived, but Huìlì was contemporary with the subject and Yàncóng only one generation removed. Many living people who knew Xuánzàng would have been available to Yàncóng as witnesses. Also, one or both of them seem to have had access to official records of both state and religious institutions. Apparently, one or both had access to the correspondence between Xuánzàng and Gaōzōng (in the days before carbon paper). In this approach, we may look for corroboration of dates. In doing so we may turn to the very same sources as those who set off looking to refute the statement. We may look for a state record of receiving the gift, or a letter of acknowledgement from the Emperor. Such a letter is reproduced in the biography, but does it occur anywhere else. The trick is not to ask is it true or false. We know at the outset that what we are seeing is not the truth in any abstract sense. We understand that someone is expressing their values through the medium of a biography (or hagiography). So we know to look at a text like the Biography as an anthropologist might. What interests us as historians is how reliable are our witnesses? What level of confidence should we have in them? What biases do they have? In this sense, good history is naturally Bayesian in its approach. We look at the givens and we make an initial assessment of the veracity. The different scenarios from complete falsification to existentially accurate and precise. Then we look into the matter, gather evidence and see how that affects our perceptions of the possibilities. We will never establish an existential truth beyond the actual existence of the text we are studying. There is a biography and it is text no. 2053 in the Taishō. The accuracy of the authorship, the date, and provenance of it are all matters of conjecture. What we seek, rather, is a plausible account that, ideally, fits all the facts. If, for example, we know for certain that the Heart Sutra is not a translation, then we need to account for the stories that state Xuánzàng translated the text. This may involve factors such as the ambiguous use of language and the pious desire to connect Xuánzàng with the Sutra. One of the problems that we face is that the biography gives us a precise date: 永徽六年十二月五日. The precision is admirable and can, with some effort, be translated with equal precision into the more familiar Gregorian Calendar, 6 January, 656. Precision to the day might be undermined if all the other references to the event are less precise. If a dozen other texts say "sometime in 656" then the precision of Huìlì and Yàncóng might seem suspicious. In general, however, Chinese sources do keep track of events to this level of precision quite routinely. Two prominent exceptions are the commentaries on the Heart Sutra attributed to Xuánzàng's successors, Kuījī and Woncheuk. But since these almost certainly post-date the date of 656, they don't really matter in terms of establishing the provenance (except that Woncheuk appears to refer to a Sanskrit text). Other scenarios include the whole event being made up, i.e., high precision but completely inaccurate. It it might be that they got the day, month, or year wrong, causing inaccuracy at different orders of magnitude. A lot of history is written about at the level of precision of the year. For example, we often cite the year of birth and death for a historical figure: Xuánzàng (602-664). On the other hand, earlier in the Biography the authors suggest that the prince in question is born on the afternoon of the Month 1, day 5 and that Xuánzàng's gift was given in Month 2, day 5 giving us precision to the day. So, given a precise date, we have to think about how precise it is and how plausible that level of precision is; and how accurate it is. How would we know? Again, the approach is to look for either refuting or corroborating evidence: which either lowers or raises our level of confidence. What critical thinking does, is make it more likely that our confidence will fall to 0% than that it will rise to 100%. We can more easily be convinced that something is false, than that it is true. But most of the time we will be somewhere in the middle. For example, I think it unlikely that Xuánzàng translated the Heart Sutra from Sanskrit into Chinese. The preponderance of evidence suggests that the Heart Sutra is not a sutra at all, but a sutra extract. The practice of copying out extracts is distinctively Chinese. Also, Nattier has shown that extraction was done in Chinese, from Kumārajīva's translation. The story in the Biography makes it seem likely that Xuánzàng received a Chinese text, before he left for India and learned Sanskrit. And the date of 656 CE from the Biography suggests that he had the text before he started to translate the Prajñāpāramitā texts in 660 CE. There is a story that he translated the Heart Sutra in 649 CE, but this first appears some centuries later and is quite obviously apocryphal. So any story we tell about the man and the text, has to fit all these points. And we must ignore that fact that many uncritical authors have told other stories (the 649 CE date is repeated as a solid fact uncountable times). So, despite what critical thinking nerds might say, it absolutely makes sense to look for confirmation as long as one does it in the right spirit. As historians, we pile up evidence and then try to weave a narrative in which all the evidence is accounted for. We tell stories in the full knowledge that next year or tomorrow, some new piece of evidence may turn up that changes the story. And we (mostly) acknowledge our biases. No one is pretending that History is a science, though sometimes it may approach being a kind of philosophy. Histories are always constructed on partial information. The historical record is patchy, though it is often better in China than almost anywhere else because the Chinese were literate and kept records. Knowledge is always partial in any case, but as the centuries pass such records tend to degrade. So while we have what we think are reliable copies of the Biography composed by Huìlì and Yàncóng, the kinds of records against which we might look to evaluate the biography often don't exist (such as the correspondence between Xuánzàng and the Emperor). Which is not to say that evidence never existed, although sometimes this may be the case. As the saying goes "Absence of evidence, is not evidence of absence." Under these conditions, sitting on the fence and being a tooth-fairy agnostic is not interesting at all. To participate, one has to get off the fence and join the discussion. This is why historians write histories with conviction. As Mercier and Sperber have observed, when making a case, it is natural, reasonable, and rational to make the best case possible and then see what others say. History is not a solitary, one-time occupation, it is an ongoing, collective effort. At any given time a small number of people will be putting forward stories constructed as the strongest case they can make (harnessing confirmation bias) and a majority will be sitting back and arguing over the alternatives. Fundamentally, reason is both collective and argumentative. And so is history. Another problem is the motivation of the witnesses. The donor of the Fangshan stele states that his desire is for his family to attain awakening by donating the merit of making the stone sutra to that end. We can probably relate to this. However, what was the motivation of the stone carver, or the monastery who employed him? We don't know. We do know that Chinese monasteries were often extremely wealthy as donors sought to mitigate misfortune or buy their way into Heaven. These carved sutras with donor inscriptions are a bit like the Roman Catholic Church selling indulgences -- make a big enough donation and your sins will be forgiven. Monasteries also engaged in usury, farming, and manufacturing to generate income. Do these motivations give us any reason to doubt the details of the artefact or the biography? Sometimes the adage, "follow the money" is apposite in historiography. Is the association of the Heart Sutra with Xuánzàng historical or is it legendary? We might want to ask the question, who benefits from the association? One thing that is clear is that, in 7th Century China, insisting that Heart Sutra was a translation from an Indian text would have added an air of authenticity. The implication was that a sutra from India was ipso facto the words of the Buddha. In the story about Xuánzàng receiving the Heart Sutra from a sick man, we are not told what language the sutra is in. But if we look at inscriptions from the period, they are almost all in Chinese, not Sanskrit. A few Sanskrit inscriptions exist, but only a handful of people could read them (a situation analogous to the present). It's unlikely that Sanskrit was heard outside the monasteries in which translations projects were carried out. It seems very likely that there was a conscious effort to promote the Heart Sutra from sutra extract (抄經) to sutra (經). And to focus on the name 《心經》 (Hṛdayasūtra) rather than any of the alternatives such as 《大明呪經》(Mahāvidyasūtra). The assigning of a translator (譯) would have been an essential part of this process, though it may have exploited an existing ambiguity in which Xuánzàng was an editor (譯) of the text. It is so tempting to see T251 as a edited version of T250, attributed to Kumārajīva, that we might not fault Tanahashi for referring to is as the α-version. Actually, we do not know the provenance of T250, though we do know that the evidence for it is later than evidence for T250. Are the precise dates I have accurate? Are the 7th Century sources reliable? Where can I find accurate geographical information on Tang China? Do my observations about 譯 add up to anything? What was Xuánzàng's involvement in the Xīnjīng? I'm puzzled that many experts have transcribed the colophon of the Fangshan Stele without commenting on the words in it, especially the place names and military titles. Or is it just so obvious to experts that they didn't think it needed commenting on? When the experts in epigraphy don't do their job, then historians struggle to know what to make of such inscriptions. I'm also puzzled as to why so little has been made, by other historians, of the clear and dated reference to the Heart Sutra discussed in the Biography. If Xuánzàng gifted a copy of the Heart Sutra to the Emperor in 656 CE, then this really does change the narrative. The important point is that historians cannot afford to take witnesses at face value. Questions must be asked. Whether we seek to refute or confirm, we have to evaluate sources. Careful historiography is often our best defence against religious bias. History often reveals the weaknesses of religious stories precisely because it evaluates and compares sources. As a historian of ideas, I am fascinated by how doctrines that some religieux treat as articles of faith have been quite changeable over time. And, in particular, by how historical arguments about doctrine reveal weaknesses visible even in antiquity (without the need to invoke modernity or science). I hope to inspire friends, colleagues, and fellow religieux to be more careful in their use of historical sources, to cast a wide net, and above all to critically evaluate sources. Chinese texts from the Online CBETA Reader. Beal, S. (1914.) The Life of Hiuen-Tsiang. By the Shamans Hwui Li and Yen-Tsung. London: Kegan Paul, Trench, Trubner & Co.
Li Rongxi (1995) A Biography of the Tripiṭaka Master of the Great Ci'en Monastery of the Great Tang Dynasty. Numata Center for Buddhist Translation and Research. What is a Text Anyway? I often find myself having to stop and reflect on the process and methods I use to explore texts. There is no ideology of method in Buddhist studies; we simply do whatever we think is best at the time. Indeed, there is very little discussion of "Theory" in the sense that presently dominates other subjects in the humanities. So, as I decipher texts, I have to keep asking myself, "What do I have to assume in order for this approach to allow me to make valid inferences, and are those assumptions themselves valid?" Writing my thoughts down is often the best way to organise them. My task at present is to identify instances of the Chinese phrase 三世諸佛 in Prajñāpāramitā texts and compare parallels in the extant Sanskrit sources. The phrase means "all the buddhas of the three times" (Three 三 time 世 all 諸 buddha 佛). My hypothesis is that Sanskrit sources will always have atīta-anāgata-pratyutpannā buddhāḥ "past, future, and present buddhas". This is important because the Heart Sutra has "tryadhvavyavasthitā sarvabuddhāḥ" or "all the buddhas appearing in the three times". So far, I can say with confidence that this way of phrasing it does not occur in any of the Sanskrit editions of earlier Prajñāpāramitā texts. In the jargon it is a hapax legomenon, or a one-off (or perhaps a neologism). If my hypothesis is accurate, then this phrase in the Heart Sutra can only be a Sanskrit translation from Chinese. This would prove beyond any doubt that the Heart Sutra was composed in Chinese. To be clear, it is already beyond any reasonable doubt that this is accurate. I think I can make it certain. And this is important because some scholars are on the fence as regards the Chinese origins thesis, and some irrationally reject it. I hope to entice the fence-sitters down to earth and to leave the rejectors no wiggle room. It's part of my elaborate homage to the originator of the Chinese origins thesis, Jan Nattier (3 articles published, 1 submitted for peer-review, and 3 more planned). However, this task is far less straightforward than it might seem at face value. Take, for example, the first occurrence of the phrase in the Aṣṭasāhasrikā-prajñāpāramitā-sūtra (Aṣṭa; "Perfect Gnosis in 8000 Lines"). It occurs in a speech that Maitreya gives in praise of transference of merit. In the translation produced by Kumārajīva’s group in about 408 CE, (aka "T227") it begins at T 8.548a17 (Vol 8 of the Taishō Edition of the Chinese Tripiṭaka, page 548, panel a, line 17). It is easy enough to locate the same speech in Vaidya’s Sanskrit edition (72) [Page 127 of Conze's translation]. However, Vaidya's text is approximately three times as long as in T227. In the translation by Xuánzàng (T 7.791c29), the speech is almost twice as long again. Although we don’t have a Gāndhārī text of this chapter, we know that, in general, it is considerably less prolix than the Pala Era (8th - 12th Century) manuscripts used by Vaidya for his edition. Also, there are seven Chinese translations in total (though only one other is of any great interest). This raises the question of whether "parallel" is even the right term. There is, in effect, no single text of Aṣṭa. Each instance of Aṣṭa is unique. And we need to be very cautious about thinking of the Sanskrit text as “original”. In fact, the extant Sanskrit documents certainly do not constitute an “original” for Kumārajīva’s translation, but date from perhaps 400-500 years later. We no longer have Kumārajīva's source document (thought it probably was a Sanskrit translation). The prolixity of Xuánzàng's text may be an artifact of his translation process, which often includes an element of auto-commentary: i.e., the text commenting on itself.. Where we can compare the late 1st Century Gāndhārī manuscript we often see that the Sanskrit has expanded one adjective or verb with up to five or six synonyms. For example, where Gāndhārī might have, "speak"; the Sanskrit texts might have, "speak, teach, instruct, draw-out, reveal, illuminate". I think we can see this as a form of auto-commentary. This raises some philosophical questions. If Aṣṭa is in fact many texts, in many languages, and specific to particular practice communities in particular places, then are my methods sound? Because, in common with other scholars, I tend to assume a unitary text with at most minor variations that can easily be eliminated. But the variations here are huge and cannot be ignored. And, if it was officially translated, then it was authoritative to someone. The basic approach of philology grew out of Bible Studies. As 18th and 19th Century European imperialists looted the world, they came across, amongst other things, very old manuscripts of the Bible that had differences from the received text in Europe. I imagine this must have been unsettling for Theologians at the time. Methods were developed to identify the ur-text and restore the Word of God (phew!). Those methods became the main tools of philology and provide Buddhist Studies with some of our most important tools. We, too, spend time collecting and assessing documents, creating critical editions (restoring the original or ur-text), and doing "higher criticism" based on this "original"
But if what I've been saying about Aṣṭa is true, then the possibility of reconstructing the ur-text is doubtful at best. We know from analysis of phonetic transcriptions of some words and names in the earlier Chinese translations and from the existence of a single badly damaged manuscript--carbon dated to ca. 70 CE--that the oldest Prajñapāramitā texts we know of were in Gāndhārī. In other words in the vernacular language of Gandhāra, a kingdom that roughly equated to the Peshawar region in modern-day Pakistan, though it extended over the Hindu Kush and into what is now Afghanistan, as well (hence the Bamiyan Buddhas). Mahāyāna texts began to be translated into Sanskrit around the 4th century CE. The oldest Sanskrit manuscript of Aṣṭa, by contrast, is from the mid 9th Century (it's held in the Cambridge University Library and I have seen the actual object). In other words it is 800-odd years removed from the origins. Lokakṣema's Chinese translation was produced in 179 CE from a Gāndhārī source text. Might it not have a greater claim to authenticity than a 9th Century copy of a 4th Century Sanskrit translation? 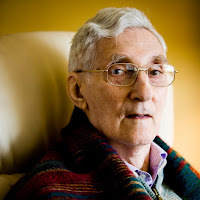 Recently, one of the more inspirational professors of Buddhist Studies, Jonathan Silk, has raised many related issues. He has argued that a critical edition is, in fact, a new composition. The idea that a critical text represents the ur-text is simply a fantasy. The reconstructed text may not even be in the correct language. This is the case with the Heart Sutra. It was composed in Chinese, using a quote from Kumārajīva's translation of the Perfect Gnosis in 25000 Lines. Because it contains a quote, even the Chinese text is not a true ur-text because we can go several steps further back - right back to the Gāndhārī text of Aṣṭa. Other parts of the Heart Sutra may have been composed in the late 7th Century, but they show distinct influence from the idiom of Kumārajīva. Lest we think that the prajñāpāramitā literature is a special case, let me assure you that it applies to all Buddhist texts, including the Pāḷi texts. There is every reason to believe that the texts were not composed in Pāḷi but are translations. When we look at the Chinese translations of counterparts of Pāḷi texts they show the same trend, albeit to a lesser extent, as the Mahāyāna texts - later translations are more elaborate and edited for consistency (see, for example, my rough translations of the Chinese Spiral Path texts in the Madhyama-āgama). Consider also that, as yet, there is no proper critical edition of the Pāḷi Canon. The editions we have were from a very small number of documents. Alex Wynn is heading a project to produce such an edition, but the host monastery in Thailand, Wat Dhammakāya, is embroiled in multiple scandals, so will it have credibility? Mahāyāna texts were written down soon after being composed, or were perhaps even composed as written, as opposed to oral, texts. And, yet, they were dynamic, open to change, and seem to have grown over a period of some 6 or 7 centuries. Writing did not cause them to be fixed. Mahāyāna texts were anthologized (as in Śātideva's Śikṣasamuccaya) but they were not Canonised. Even the Pāḷi Canon underwent some post-canonical editing. Unlike the differences in the Bible, which were effectively an accumulation of mistakes and misreadings, Buddhist texts were actively changed and edited. And not always competently. Part of my work on the Heart Sutra will be repairing the damage done by inept ancient editors. For me, this impression is reinforced by the history of Buddhist ideas. We all know that Buddhist doctrines changed over time. Buddhists experimented with many varieties of worldview over time and now have such a broad range of views that any attempt to conceptually unite them necessarily fails. Buddhism has not been a single religion for about 2000 years now. We've evolved into distinct (incompatible) species. Of course we know that there were innovations, and some of us have adopted one or other innovation as our standard view, but we seldom get real sense of why there are variations. What drove Buddhists to innovate? The obvious answer is dissatisfaction with the doctrines obtained from the earlier texts (aka The Pāḷi Canon). In other words, we have to ask: If the Pāli texts are so authoritative, why did all Buddhists (including Theravāda Buddhists) keep inventing new doctrines and changing the old ones? Often to the point of completely abandoning the earlier material (especially in Tibet and Japan). While I was researching the history of the ideas of karma and rebirth, I identified a couple of probable reasons for innovation that I still have not seen in any books. My prime example is that karma requires consequences to manifest long after actions, while dependent arising denies that this is a possibility - "when this ceases, that ceases." Once the action has ceased, the possibility of a future consequence should entirely vanish. Now, Buddhists had four choices: leave it incompatible; modify karma; modify dependent arising; or modify both. Initially they opted for modifying dependent arising in various ways (though all that survived was two variations on the kṣanavāda, or doctrine of momentariness, and the dvayasatyavāda, or doctrine of two truths.). However, later, when the karma doctrine no longer fit their needs, they also modified karma (On this see my 2014 article in the Journal of Buddhist Ethics). Over time, Buddhists changed things. They changed what seem like central doctrines and they changed seemingly sacred texts. Often they went down blind alleys. Modern Buddhists tend to have some knowledge that things changed, since most of us have read books from different traditions and experienced the confusion of terms and ideas. On the other hand, very few of us understand the dynamics that produced these changes. The "why" question is often left blank. A notable except is Ronald M. Davidson's Indian Esoteric Buddhism, which describes the socio-economic and geopolitical forces that may have contributed to the rise of Tantric Buddhism. Buddhist texts have complex histories and change considerably over time. With very few exceptions all the texts we have are translations. Sanskrit is very seldom an "original" language. Chinese is far more important than we have so far grasped. Buddhist texts were always unsatisfactory to Buddhists. This unsatisfactoriness was a major driver of doctrinal innovations. On-going doctrinal innovation is a feature of the history of ideas in Buddhism. Innovation causes legitimation anxiety for Buddhists. Each generation has adapted the Dharma to their needs, while claiming to be reinstating what the Buddha taught. Pāḷi texts (or their analogues in Gāndhārī and Chinese) are perhaps the most important single source of arguments and disputes in the long history of Buddhism. There is, and can be, no Buddhist "Bible" nor indeed anything that we might call "Basic Buddhism". All the best for the solstice.